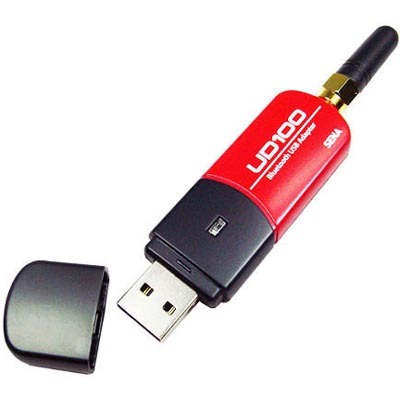 Bluetooth wireless adapters are built-in to phones and PCs or low cost USB Bluetooth adapters can be simply plugged in but these are designed for communication distances of up to 10 metres (30 feet) at most. Is it possible to use Bluetooth at longer ranges, in 100’s of metres? Yes, it is but with some limitations. First, what are the strengths of Bluetooth wireless? It was designed primarily as a point-to-point communication method although you can set up a Bluetooth network with up to seven devices in it. However, for network solutions, WiFi is a better bet as it is a designed as a networking protocol. WiFi is also much better for large data transfers, such as video. Bluetooth has lower power requirements than WiFi and initial setup is faster especially if you want to keep two devices paired with each other. Once the initial pairing us done, further communications are simple. Bluetooth wireless works by using profiles and different device classes use different profiles. Most USB Bluetooth adapters support nearly all profiles, whereas a serial to Bluetooth adapter will only support Serial Port profile. The key to long range signals is the output power and the antenna that is fitted. The more powerful the antenna, the longer the range but this must apply to both ends of the link. It is no good having a powerful Bluetooth transmitter with a large antenna at one end and expect to talk at long range to a tiny headset with a built-in antenna. Sena Bluetooth adapters have powerful transmitters and a separate antenna connector so that different antenna can be fitted. With the standard stub antenna supplied, transmission distances of 300 metres (1000 feet) can be achieved but this will be reduced by obstacles like walls. If the optional dipole antenna is fitted, ranges of up to 500 metres (1600 feet) are realistic. Bluetooth is a high frequency wireless protocol (2.4GHz), which means that the coverage can have dead spots but rotating the antenna or moving it slightly can overcome this. Typical long range applications are a connection to another unit with a serial port and Sena supply a long range serial to Bluetooth adapter with the same antenna options. This means that a long range Bluetooth link can easily be established for applications like solar panel monitoring or remote greenhouse control. Previous PostWhich is the Best AVR ISP?Next PostWhich Pic Programmer Do You Need?